JOIN IN DISCUSSION and LEAR ALL YOU CAN! can be made by scrolling to the bottom of this page. The payment tabs via PayPal connected to this site are secure. This book is now out of print, and supplies are limited. and William Matthews, the cover artist. $250 per copy / includes shipping and tracking. 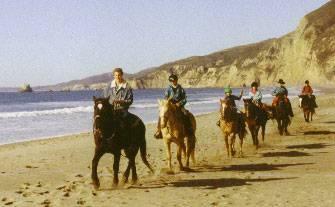 "Horse Handling and Riding Through Feel"
Beach ride with my horses and students, in Point Reyes, California. Prices include U.S. Domestic PACK-SHIP-TRACK services! If you like to read . 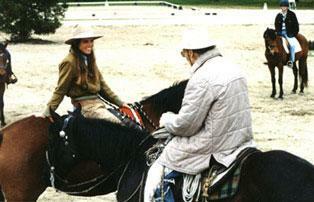 . .
professional riders and equestrian colleges. $80.00 (Price include U.S. Domestic PACK-SHIP-TRACK services!) Signed by Leslie. $92.00 (Price include Canadian PACK-SHIP-TRACK services / Actual Price.) Signed by Leslie. $135.00 (Price includes EU-UK PACK-SHIP-TRACK / Actual Price) Signed by Leslie. that come with each of the 10 CDs. 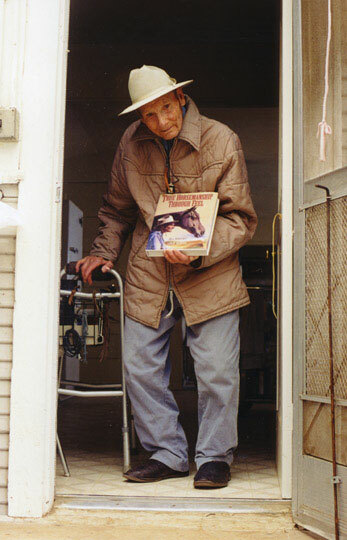 The audio books can be downloaded, and there is also a 3-volume DVD set, "American Horsemanship for Young and Old" to help you understand and train your horse! 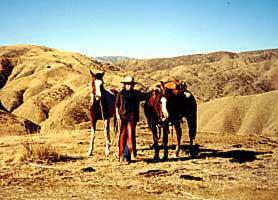 Leslie and a couple horses, in the Panoche. 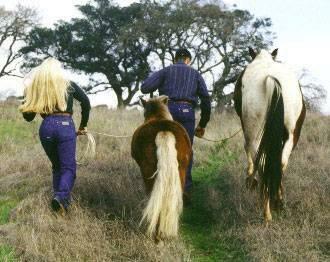 We rode high on the east side of the that day, checking fence. U P N E X T . . . . in S W E D E N ! 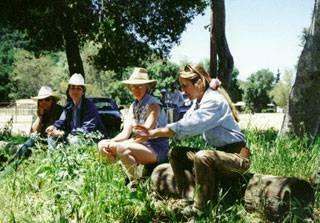 3 days of FUN wth your HORSES! 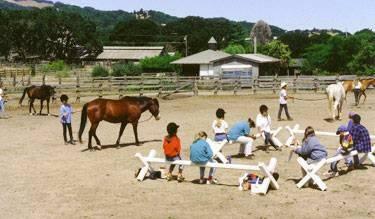 Please contact clinic sponsors soon to reserve a spot for your horse. Children 16 and under are invited at no charge. Auditors are welcome! 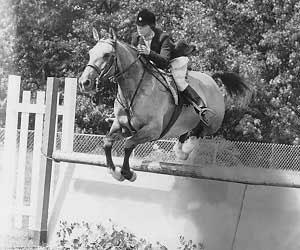 "Bubble Over" at the Kirkwood, Missouri Horse Show in 1969. Leslie up. Leslie and Bill Dorrance talking things over at the 1997 Pebble Beach event. ought to do some testing on the theories." Heading for a river crossing in Norrland, Sweden. Leslie on Vamonos, in 2005. 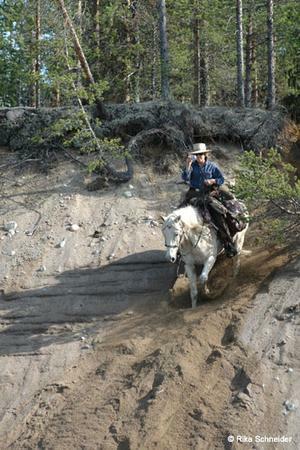 Leslie and her mares in the Big Horn Mountains, Wyoming. Leslie and her mares in Tucson, Arizona. 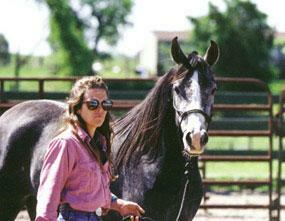 In four daily sessions with horses and riders, Leslie will introduce the concepts, techniques and terms involved in the "feel-based" communication that she learned from Master Horseman, Bill Dorrance, of Salinas, CA. Whether you perfer to ride during your 90-minute private session, or want to bring a horse in order to improve your groundwork skills, Leslie will first demonstrate and discuss the most suitable way for each "Horse & Rider team" to develop the lightness and refinement that is missing between them. SAFER to ride and to be around, but CALMER and HAPPIER! neck and shoulder carriage, and flexibility under a saddle that fits! to achieve accurate hoof placement? With good timing and effective coaching. Both make a big difference.